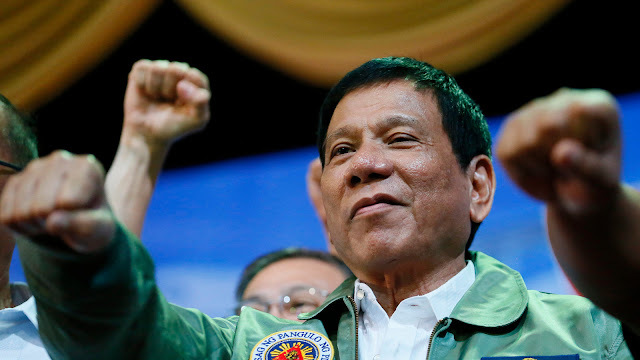 MANILA, April 25 (PNA) -- A partylist lawmaker at the House of Representatives believes the complaint filed before the International Criminal Court (ICC) in the Hague against President Rodrigo Duterte and other top government officials is “premature” and “bound to fail”. In a statement on Tuesday, Roque said the Philippine courts have primary jurisdiction in any complaint for crimes against humanity, noting that all domestic remedies must be exhausted before elevating the case to the ICC. He noted that the Senate already conducted independent investigations regarding Duterte’s alleged links in the vigilante killings of the Davao Death Squad and the Commission on Human Rights also conducted its own probe on drug-related violence. "Cases filed against policemen allegedly involved in drug-related violence are proceeding. It cannot be said that the Philippines has not or cannot investigate these concerns," Roque said. Roque further explained that the ICC as a “court of last resort” will only exercise jurisdiction when Philippine courts are unwilling or unable to do so. "The ICC was established as a court of last resort. It was intended to complement, not replace, national courts in ending the gravest crimes against the international community. I maintain that while I fully support the fight against impunity, I do not believe that engaging the ICC is appropriate," he said. The partylist solon said the case lodged before the ICC is an attempt to discredit Duterte and the Philippine government amid the country’s hosting of the Association of Southeast Asian Nations (ASEAN) summit. "It is regrettable how maneuvers like this to cast a negative light upon the Philippines have become more and more common. I urge all those who seek a better Philippines to have more faith in the systems in place," he said. Roque said the ICC case will not "formally initiate" since it is up to the prosecutor to determine if the case has "reasonable basis to proceed with an investigation." "Only then will she (prosecutor) submit to the Pre-Trial Chamber a request for authorization of an investigation. I do not believe this case will even reach that stage," he added. Self-confessed hitman Edgar Matobato’s lawyer, Jude Sabio, filed a 77-page complaint against the Chief Executive and 11 senior government officials before the ICC on Monday, accusing them of crimes against humanity through the administration’s aggressive campaign against illegal drugs. Sabio, in his complaint, cited the similarities in the drug war when Duterte was mayor and now as president including police participation, element of hitman, reward system for killing, reward in cash, a kill list, among others. Sabio said that with the case filed, the Office of the Prosecutor is set to determine whether the case is within the jurisdiction of the ICC and if it is proper to file criminal charges against the accused, before investigating the case and issuing Warrant of Arrest against them.